Part of the multi-award winning Dorset Drum family, Coombe Castle’s Traditional English Cheddar Loaf is aged for at least 12 months and has a delightful tang that keeps tempo through the cheese’s complex range of sweet to sharp flavors. Named after the English town of Cheddar’s impressive gorge (which is a network of spectacularly formed caves with perfect conditions for aging cheese), Cheddar may date all the way back to the 12th century when King Henry II is said to have proclaimed it as the best cheese in England. From its origins onward Cheddar was a royal delight and always in much demand at court. 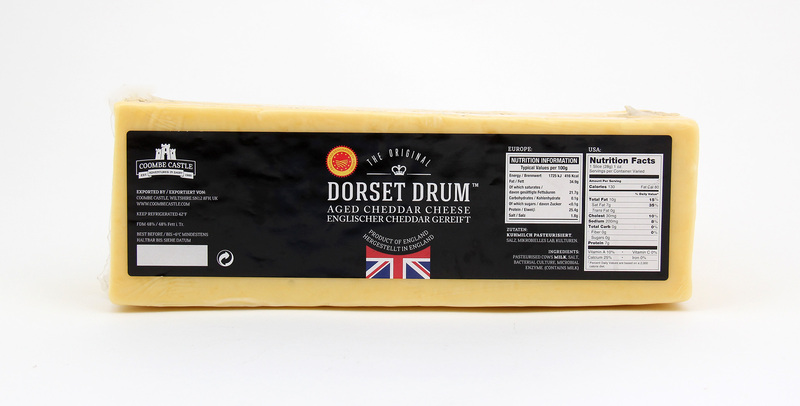 Made from pasteurized cow‘s milk, Dorset Drum Loaf is a delicious example of why this iconic British cheese has become one of the most favored tastes throughout the world today. Application: Perfect for the deli counter, it slices smoothly for cold or grilled sandwiches and burgers. Cube it to please young-to-old crowds at parties, shred it for melting into or on egg, chicken and vegetable dishes or just snack on Dorset Drum at will. Great for any recipe calling for cheddar. Pairing: A full-bodied Cabernet Sauvignon combines seamlessly with Dorset Drum. For a beer, an India Pale Ale will not fail to please. A true Italian fruit, the Amarena Cherry is found in the northern province of Emilia-Romagna and is one of the most sought after worldwide. Small and bitter in its natural state, Lazzaris emerges the deep red cherry in a sugary syrup to create a unique condiment that is ideal for a variety of culinary creations. 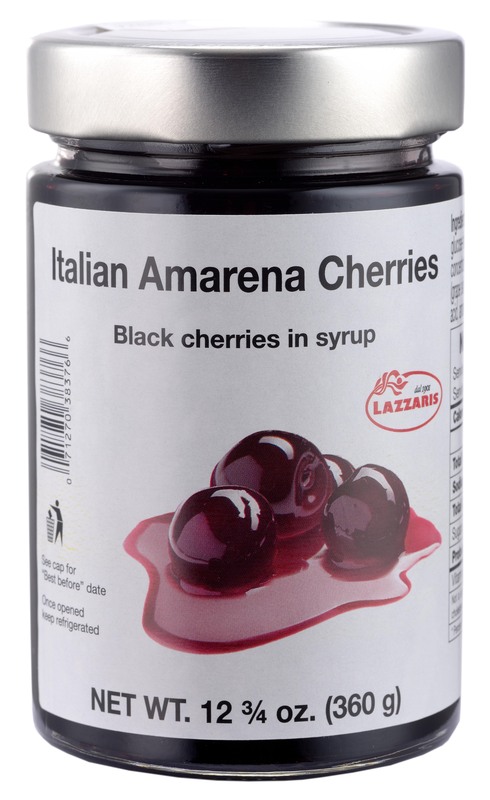 Use Amarena cherries to garnish desserts, drinks, cakes and cheese boards. Serve French toast topped with Amarena cherries and whipped cream to brighten up any morning.